We provide an outstanding team of highly skilled Marvin Window and Door professionals to help you select the right product for your next project. We’re your go-to source for quality building products and personalized service. Whether your project is new construction, remodeling or replacement, our knowledgeable staff is always eager to help with your construction and custom millwork needs. If windows and patio doors are on your list, we have a Marvin Design Gallery and Showcases with functioning displays in home-like settings that make shopping easier than ever. We are a family owned and operated general contracting business specializing in exterior improvements geared to increasing your home’s energy efficiency and retaining its value. 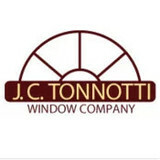 Joe and Faith Tonnotti, owners of the J. C. Tonnotti Window Company stand behind the motto “A Name You Can Rely On”. We’re not happy unless our customers are happy! Because of our customer-first policy, J. C. Tonnotti Window Company, Inc. has established itself as one of Connecticut’s leading replacement window and home improvement companies. To achieve our goal of customer satisfaction, we remain dedicated to the philosophies that have inspired Joe and Faith Tonnotti since they created the company. Millard Enterprises is the 3M™-Authorized Prestige Window Film Dealers – Prestige Dealer Network for the state of Connecticut. We have been serving our customers for over 30 years. Our window film products are manufactured by 3M™, a multi billion dollar diversified Technology Company. 3M™ holds the original window film patent and offers over 40 years of proven window film performance in all climates and conditions. 3M™ window film product line includes sun control, safety and security, architectural/interior designer and anti-graffiti. No manufacturer can claim to have more experience than 3M™, the worldwide recognized leader in adhesive and window film technology. Our dedicated and knowledgeable sales staff is here to provide you with advice on which 3M™ window film product is best suited to your needs. We offer a highly trained staff that can handle every type of application from small windows in your residence to a large commercial project. Customers can expect our 3M™ trained installers to be knowledgeable, mannerly and respectful of your property. The success of our company is a direct result of the commitment and quality of our staff and we are privileged to lead such a talented assembly of quality people. Installing 3M™ Window films into your home or office can: Reduce Solar Heat Load Cut down the cost of your Air-Conditioning and Utility Bills Minimize Glare Maintain Man made Heat during the Winter Increase Personal Comfort Improve Safety and Security Create Privacy in Conference Rooms and Offices Reduce Graffiti Abatement Expenses Trust our highly trained and courteous installation team with your home or office building. We go above and beyond for our customers and offer 3M™ Company’s unbeatable warranty. Since 1996, American Windows & Siding of Connecticut has taken pride in quality workmanship. We have built our reputation one project at a time, because the care and commitment we demonstrate speaks for itself. We're proud to stand behind our work, and we're confident that each project is done well and done right. We offer our customers outstanding value by providing premium products and superior customer service, specializing in window, siding, roofing, and door replacement. 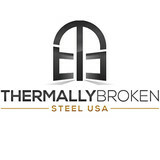 We back both our products and our expert workmanship with the strongest lifetime warranty on the market, giving our customers the ultimate peace of mind. Any product of ours comes with a guaranteed standard of quality that you just can’t find anywhere else. Your one source solution for custom windows and doors - stainless steel, corten, architectural bronze, galvanized steel, aluminum, and wood windows and doors. 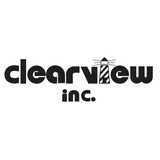 Visit steelwindowsanddoors.com Steel Windows & Doors USA is owned and operated by Bill Polinsky and Domenick Siano. Prior to starting this company, Bill and Domenick had owned and operated a residential construction company that focused on high-end building and remodeling, with special attention to detail and customer service. Their observation of the rising need and demand for high quality, steel windows and doors led them to startup Steel Windows & Doors USA, as a unique, very service oriented company in 1996. Both Bill and Domenick have extensive education and practical experience as detailed below. Both can frequently be seen visiting job sites and overseeing projects to ensure that things run smoothly and that the finished product exceeds the client's expectations. Innerglass Window Systems pioneered the use of high performance Low-E glass in our interior storm windows. Low-E glass doubles the R value of regular glass making you warmer in the winter and cooler in the summer. It also cuts out 2/3 of the ultra-violet rays damaging your rugs and furniture. Our custom made windows are the most affordable, convenient, and energy efficient way to upgrade your existing windows. The Innerglass Window will give you the performance of high end replacement windows at less than half the cost! At New England Window Company you will find solutions for your home or light commercial project. Whether you’re renovating, remodeling, or starting from the ground up, we have the windows and doors that will match the design of your space. Your project should match the right aesthetic with perfect functionality. Our windows and doors are manufactured with attention to detail and performance, and are built to withstand heat, cold, humidity, and even storm and hurricane conditions. We offer hundreds of standard combinations and an almost infinite range of custom capabilities. New England Window Company features windows and doors by Loewen and Hirschmann as well as specialty products to meet your tastes and needs. This site will provide you with an overview of our products and our capabilities. We invite you to contact us for more information, or stop by our showroom to discuss your window and door needs. Seven Sun is all about windows and doors. We offer a wide selection of high-quality products that will fit your needs and budget. Although, we're a small company of just three people, we're big on caring for details and customer experience. If you contact us for an estimate, you will meet one of the owners in the comfort of your home. You will get a complimentary design and product advice as well as the cost of your project on the spot. Our appointments, although thorough, are brief and to the point to save you time. 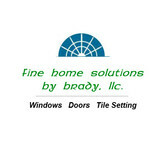 Your new windows or doors will be installed with care, cleanliness, and attention to details by the owners themselves. Join us in our quest for improving the look of American homes and making them more comfortable to live in!" Whether you’re building a new Windsor home, remodeling an old one or just replacing a few windows that are past their prime, your window dealer in Windsor, CT will help you pick the right windows for your needs, home style and budget. Windows come in so many sizes and types that expert advice and direction is invaluable in helping you make the best decision. These pros can also help you with custom window designs that complement your space better than something ready-made. Lastly, if you are interested in doors with windows, these experts are also knowledgeable about sliding doors, French doors and other paned portals. Your window pro might work closely with other Connecticut builders and remodelers as well. Here are some related professionals and vendors to complement the work of window sales & installation: Window Treatments, General Contractors, Home Builders, Specialty Contractors, Siding & Exteriors. Find a window dealer on Houzz. Narrow your search in the Professionals section of the website to Windsor, CT window dealers. You can also look through Windsor, CT photos to find examples of windows that you like, then contact the window professional who worked on them.